Two Senate committees probing Russian interference in the 2016 presidential election have now asked for materials related to Green Party candidate Jill Stein's campaign. Added Watts, "On the left politically, they sought to dissuade Bernie Sanders voters from turning out to the polls and increase turnout for Stein." Stein does seem to have played a role in denying the presidency to the Kremlin's least favorite candidate, Hillary Clinton. Michael McFaul, former U.S. ambassador to Russia and an NBC News analyst, said that Stein "most certainly influenced the outcome of [the 2016] election, given the outcome was decided in three states and by 78,000 voters." "Her talking points on hot button issues like the war in Ukraine look like she's reading off of a Kremlin-supplied script." Despite receiving only 1.07 percent of the national vote total, her showing in the crucial states of Pennsylvania, Wisconsin and Michigan was greater than Clinton's margin of defeat, and arguably denied Clinton an Electoral College victory. Why investigators looking at Jill Stein's 2016 campaign? McFaul said that Russia state media's interest in Stein fits with a policy of underlining dissent in the U.S. "RT has promoted and often exaggerated the importance of third party political leaders and fringe social movements in the United States with the aim of exacerbating social tensions in the United States," he said. Weiss said that Stein's foreign policy statements are also in synch with Russian interests. "Some of Stein's virulent pro-Russian rhetoric has barely gotten attention. Her talking points on hot button issues like the war in Ukraine look like she's reading off of a Kremlin-supplied script." During the 2016 campaign, Stein was a favorite of RT and Sputnik, the two government-owned English-language news outlets that have been identified by U.S. intelligence as a big part of the Russian effort to influence the American presidential election. The U.S. intelligence community called the two outlets part of "Russia's state-run propaganda machine." Specifically, according to the Intelligence Community's report on Russian interference in U.S. elections from January 2017, RT's criticism of the U.S. election is the "latest facet of its broader and longer-standing anti-U.S. messaging likely aimed at undermining viewers' trust in U.S. democratic procedures and undercutting U.S. criticism of Russia's political system." Stein made numerous appearances on RT and Sputnik during both the 2016 and 2012 campaigns, when she participated in an RT-sponsored third party candidates' presidential debate. A search of RT and Sputnik archives shows more than 100 stories, both on-air and online, friendly to Stein and the Green Party. In addition to being interviewed on policy issues, Stein's campaign, including the Green Party's convention, was covered extensively. For example, RT provided generally positive coverage of a speech by WikiLeaks founder Julian Assange, delivered remotely to the Green Party convention in Houston. RT also noted how in the closing weeks of the campaign, Stein suggested that Hillary Clinton could lead the U.S. into a nuclear war with Russia. "On the issue of war and nuclear weapons," Stein said, as RT reported, "it is actually Hillary's policies which are much scarier than Donald Trump who does not want to go to war with Russia." She even used RT to help launch her 2016 campaign for president. She announced her decision to form an exploratory committee on the U.S.-based RT program "Redacted Tonight" in February 2015. Watts also notes that it wasn't just Russia's overt propaganda organs that supported Stein. He says that the Russians used their "troll army" and computer-generated bots to place pro-Stein ads on Facebook and tweets on Twitter. 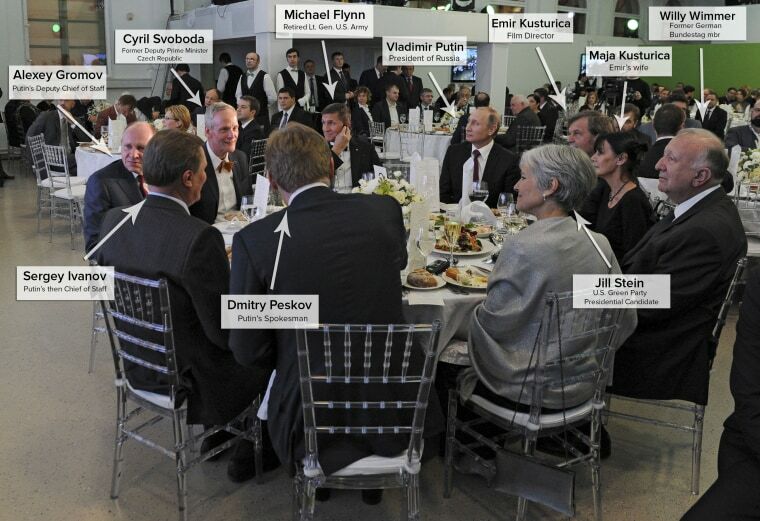 Most famously, Stein helped celebrate RT's 10th anniversary in Moscow in December 2010, participating in a foreign policy seminar and dining with Putin and former Defense Intelligence Agency Director Michael Flynn. She and Flynn, who pleaded guilty recently to charges of lying to the FBI, were the only two Americans at the head table. Stein, in explaining why she traveled to Moscow, said she had hoped to speak with Putin about Russian policy in Syria, climate change and other issues. The Russian president declined the opportunity, according to Stein. Stein has steadfastly said that she, unlike Flynn, received no fee or travel expenses for her participation in the RT program. In an interview with NBC News last fall, she deflected questions about her appearance, instead chastising the U.S. media for not paying attention to her campaign while RT gave it a lot more attention. Both RT and Sputnik often portrayed Stein as a victim of U.S. mainstream media, citing a lack of coverage of her candidacy. Now the Russia probers have turned their attention to Stein. In July, the Senate Judiciary Committee asked President Trump's son, Donald Jr., for all communications between President Trump's son and a number of others, including Stein. In November, the Senate Intelligence Committee asked Stein and the Green Party for "documents pertaining to interference in the 2016 election," according to a Stein spokesperson. In a statement Monday, Stein said she is cooperating with the Intel Committee, but warned of the danger of political motives in such probes. 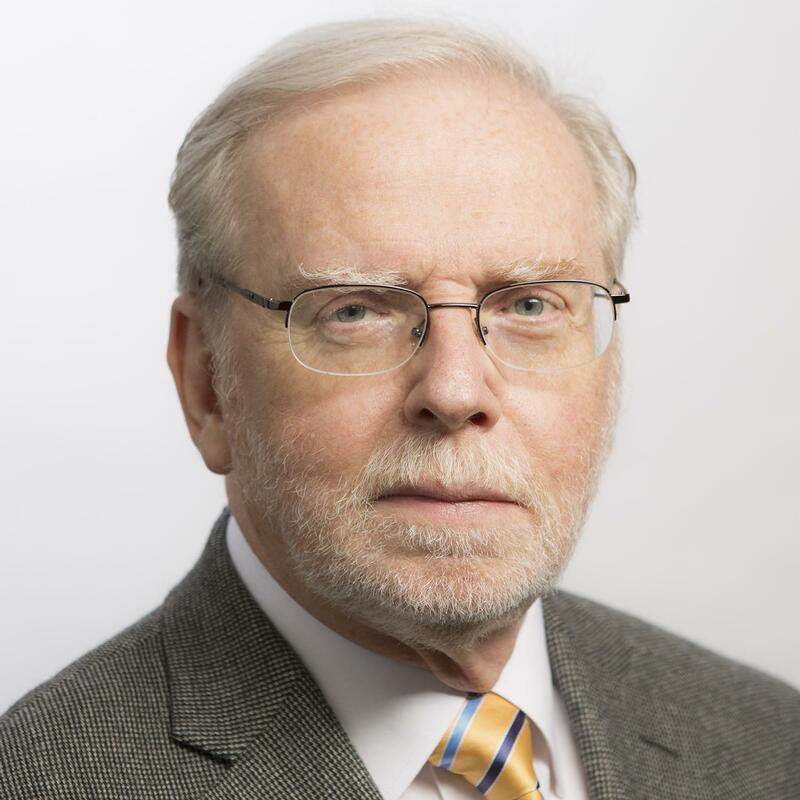 "In the current climate of attacks on our civil liberties, with the emergence of censorship in social media and the press, criminalization of protest, militarization of police and massive expansion of the surveillance state, we must guard against the potential for these investigations to be used to intimidate and silence principled opposition to the political establishment."